Whether you are after an eco tour, food and wine tour, backpacker tour, sightseeing tour, ocean cruise or even a hiking trek along one of the coastal routes around Phillip Island, these are just some of the many tours that you can set out on to take in the sights of the island. 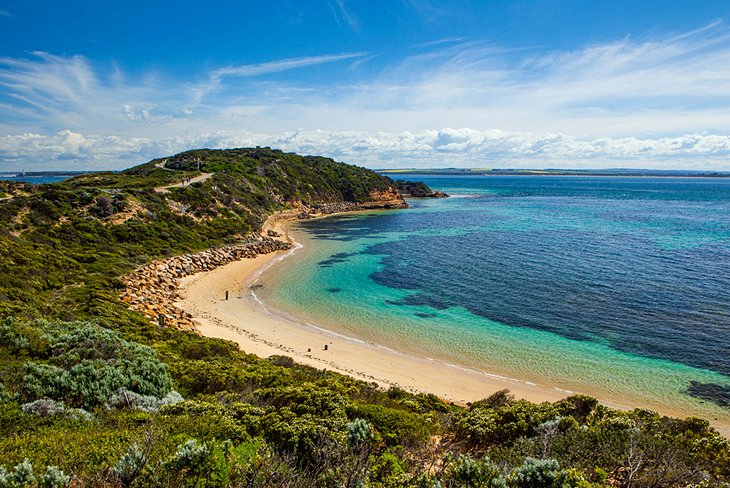 Located just 90 minutes from Melbourne, Phillip Island has long been a very desirable holiday destination for it abundance of wildlife, scenic surrounds, stunning coastlines, wineries, history and heritage and all of this is included in hundreds of different tours and outings that you can book onto all year round. Get up close and personal with the fury little penguins that make their way from ocean waters each day at sunset, also known as the Penguin Parade, as they head for the sand dunes to nest for the night or perhaps a walk through the tree tops to view sleepy koalas in their natural habitat interests you. There are numerous tours where you can experience the many different kinds of wildlife and animals that call this island home, from kangaroos, koalas, wallabies, penguins, seals and many more. Swim with dolphins and seals for the day, join a fishing charter or go scuba diving or snorkelling with the whole family. There are many different local wineries and cellar doors to visit so why not make it easier on yourself and join a wine tour which will include wonderful lunch dining and many scenic sights along the way and for something really tempting you can set sail for sunset cruise, champagne cruise or luxury sailing adventure around Phillip Island for the day. Go cycling with your own personal guide, set out on many different hiking tracks that will take you past beautiful sights and why not book onto a sea kayaking tour. Book onto a history tour to learn about the fascinating past that dates back to the Vietnam War, tour the island to learn about the cultural significance or even take to the skies for a bird’s eye view of it all! Race around the track in a super fast racing car, join a wildlife cruise for an eye opening experience you will never forget or take a tour to beautiful Churchill Island which connects to Phillip Island by a small bridge. Get up close and personal with the island’s seal colony, taste test your way around the island or even learn how to surf which will have you standing up in no time at all. Sit back and let someone else do all of the driving for you as you take in the many attractions and enjoy a whole host of activities that have put Phillip Island on the map. Whether you are into food and wine, nature, wildlife, animals, the fringing ocean waters or exploring the island’s history, there are numerous tours in which you can set out on that are sure to delight.